The IP54 series is surprisingly compact in size and comes complete with an EMC Mains Filter as standard. Further options are available such as input/output reactors and fieldbus communications options. While the IP54 Series is ideal for stand alone motor control applications, Hitachi has addressed the potential for the products in systems by incorporating as standard PID control and RS422/RS485 communications. 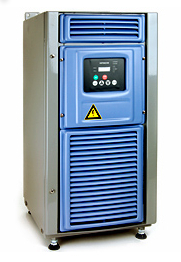 Besides operation in connection with constant and variable loads the voltage-to-frequency control also allows setting of parameters for a freely definable voltage-to-frequency characteristic, significantly expanding the area of application of these frequency inverter.